Let us assume that you poured some gasoline in your engine. No big deal sounds pretty standard. The only problem, your car is a diesel. You just poured gasoline in a diesel engine. What happens now? Will it run? Will it not? Will it just merely explode? No, indeed it won’t explode. It may run, but for a short while. But one thing is that is indeed isn’t a good thing to do. But what if you poured in the gasoline in your diesel to know what happens? To answer it in simple terms, pouring gasoline in a diesel will damage it extensively, even if it manages to run for a while. Pouring diesel in a gasoline engine will do the same, only, gasoline in a diesel engine makes the damage greater. But why does it damage the engine? Both are fuels. Both are by-products of petroleum. To answer that, we need to understand how these two types of engines, namely, a gasoline engine and a diesel engine works. What if someone accidentally pours in gasoline in a diesel engine? Let’s say that if you do accidentally pour in gasoline in a diesel engine, things are not going to be pretty. The problem is that gasoline fuel is formulated in such a way that it resists autoignition, which diesel fuel does. Gasoline will cause a diesel car not to be able to burn the fuel the right direction in the first place. If it does manage to burn it, the detonation of the mixture will be at irregular timings. The pistons and the piston arms are designed in such a way that they can withstand the fuel explosion if the explosion happens timely. Gasoline in a diesel engine will burn the fuel at wrong timings, and can damage these parts. Other than that, gasoline can quickly destroy the fuel pump. The fuel pump of diesel fuel is a little different than gasoline fuel as diesel acts as a lubricant for the fuel pump as well. Gasoline will cause the fuel part to get dried out and with no lubrication, the moving parts will rub against each other and eventually fail, similar to the condition of an engine with any oil. When the diesel engine is started, that will cause the gasoline to circulate in the lines and the engine, causing sensitive parts to fail and the fuel pump to stop working as well. If the car with the wrong fuel is kept from starting, the damage can be prevented and flushing the fuel tank can save thousands of dollars on replacing damaged parts. If you realize that you have put gasoline in your diesel engine, turn it off immediately and tow it to a mechanic workshop to replace the fuel. Seemingly, both the types of engine, the gasoline engine and the diesel one work somewhat similar. Both have pistons, cylinders, fuel lines, pressure lines, and both require oil and both burn a mixture of air and fuel to run. While both the engine types are same at most part, the significant difference between the two is the ignition method of that air-fuel mixture. This difference is all that sets apart both types of the engine. Besides the difference in the engine, the difference is in both the fuel types as well. The gasoline engines work the same way as diesel engines, and only, they take gasoline as fuel. The fuel is fed through the pressure lines and then into the engine. Depending on the fuel injection method, some cars may be using a carburetor to deliver the engine the fuel while modern cars nowadays use electronic fuel injection techniques. Gasoline engines have what we call, and the spark plugs to ignite the air-fuel mixture. Depending on the number of cylinders in an engine, there may be 3 or more spark plugs. If a car is a V-8, there will be 8 cylinders and 8 spark plugs for each of the cylinders. The timing belt makes the camshaft rotate in a way that each cylinder ignites the mixture at just the right time, making the ignition of fuel in each of the 8 cylinders smooth while keeping the balance of the engine. The part to note here is that gasoline engines rely on spark plugs to ignite the fuel. That is due to the compression ratio of gasoline. Once the gasoline is compressed enough during a cycle, the mixture becomes hot enough and the spark plugs make a quick spark to ignite that mixture, creating the power. Here’s the thing, while most of the things are coherent with the gasoline engines, diesel engines don’t have spark plugs. These engines don’t need spark plugs to ignite the fuel. There different in the fuel type makes the difference here. Diesel blocks use a compression ratio that is much greater than that of gasoline engines. It is basic knowledge that when the air is compressed, it tends to heat up. Just like that, diesel is compressed way greater than gasoline, which heats the fuel so much that the diesel in the cylinders ignites themselves without needing a spark plug to do the job. That is so also because diesel burns at a much higher temperature than gasoline which is why the diesel fuel cannot be ignited with spark plugs due to not enough heat. This is what makes the diesel engines make that knocking sound as they run, because of the diesel exploding inside at a greater temperature. Both of these fuels are by-products of petroleum or crude oil. But some difference in the chemical properties makes the two different. Both of these fuels are chains of hydrocarbons. The only difference is that diesel fuel has more of them. This makes the diesel less volatile when compared to gasoline, making diesel not that easy to ignite. Gasoline engine compresses the gasoline as an 8:1 ratio that can vary till 12:1. A diesel engine, however, compresses the diesel fuel at a higher ratio of 14:1 and can go as high as 25:1. This makes diesel-powered vehicles produce much more significant power when compared to gasoline engines. 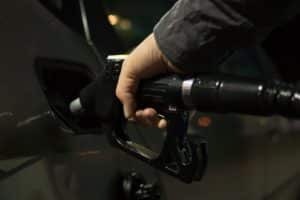 To prevent the mistake from happening, the size of the filling nozzles for diesel fuel at pumps is larger in size compared to nozzles for gasoline which makes it difficult to pour diesel in gasoline engines but another way around, the problem remains. 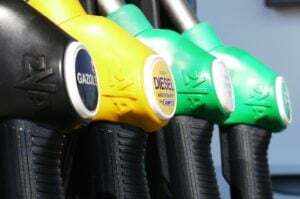 Because the patrol and the diesel are two completely different fuel types, you can get a lot of symptoms when you have petrol in your diesel car. Here is a list of the most common symptoms you do normally get after you fill your diesel engine with petrol. The most common symptoms of petrol in diesel cars are knocking sounds from the engine, rough idle & acceleration, engine warning light and the engine may stop and won’t start again. Never drive your car with petrol in the diesel tank. Shut off your engine as fast as possible and tow it to a car repair workshop or to your home. Empty the petrol from the tank and replace the fuel filter and fill it up with diesel again. Because modern car engines are very smart, it does often recognize when you have filled petrol in your diesel engine. This will often result in a check engine or a service engine soon light on your car’s dashboard. Because petrol is a lot more flammable than the diesel fuel, you can often get a loud “knocking” noise from your engine which has not been there before. If you have only filled a little petrol in your diesel tank, you may not experience the knocking sound, but it’s a good sign to look for if you suspect that you refueled with petrol. You can often experience a Rough idle and a rough acceleration when you have refueled your diesel tank with petrol. This is because the engine is designed to run perfectly with the diesel fuel and the diesel and petrol fuel are two very different fuel types. In many cases, if you have refueled with a lot of petrol in your empty diesel tank, your engine may stop and be impossible to start again. If this is the case it could lead to very expensive repairs if you are unlucky. Empty the fuel tank of petrol and replace the fuel filter. Refill with diesel. Will my diesel car gets damaged by petrol in the fuel tank? Yes, a lot of parts can get damaged if you have too much petrol in your diesel tank. In many cases, where you have a half tank diesel and refill just a bit of petrol, it will probably not make a lot of damages. But because you do often drive to the fuel station with an empty diesel tank and refueling it full of petrol, it can cause serious damages to your engine and result in very expensive repair costs. Because the petrol does not have the same lubricating properties as the diesel fuel, it can cause serious damages to your diesel pump fast. A faulty diesel pump can result in metal chips getting loose and it will fill your whole fuel system with it. If this is the case you do often have to replace the whole fuel system including the hoses and fuel lines. It can also cause damages to your internal parts in the engine like the pistons if you are very unlucky. This is pretty rare and the most common thing to get damaged is the diesel pump which results in metal chips all over the fuel system. 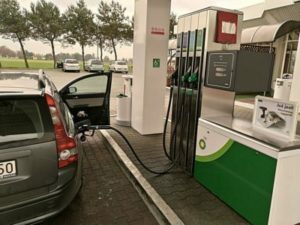 What to do if I have petrol in my diesel car? If you think that you have petrol in your diesel tank, the first thing you should do is to stop your car in a safe spot and shut off your engine as fast as possible. If you stand at the fuel station and haven’t started your engine before you realize that you filled it with the wrong fuel, Do not start the car! or with the use of the inbuilt prime pump inside the tank. If you have a prime pump in the tank, you can lose the fuel pressure line and recycle the ignition to get the fuel out. After you have got all the petrol out of the tank, replace the fuel filter and fill the tank with diesel again. Then start your car and try again, in many cars you have to bleed the diesel fuel system before you will be able to start it. By following these steps, you may be able to save the engine and it works in 90% of the cases. In some cases, if you have driven too far with too much petrol in the tank, your diesel pump could have been damaged and it may result in a replacement of the whole fuel system because the pump will fill it with metal chips. If you realize at the fuel station that you are refueling with the wrong fuel, do not start your car. Tow it to a workshop. If you have any questions or want to tell us your story of how you solved this problem, comment down below. If you have any other car questions you are welcome to ask them at our homepage. Recently I have problem like this . I have around 12 ltr diesel in my tank and there in Fuel station fill 3.5 Ltr petrol in my car when i saw it I stoped feuling and drain all oils form car tank and refuel diesel 15Ltr and my car starts and run ok . My car was off when they felled petrol in tank. Even Not started after petrol filled. I have not changed any parts of my car it works fine.